On February 15, 2017 at Westin in Ottawa, the National Indigenous Economic Development Board (NIEDB), in partnership with the National Aboriginal Capital Corporations Association (NACCA), Indigenous and Northern Affairs Canada (INAC) and the Public Policy Forum (PPF), presented Expanding the Circle: What Reconciliation and Inclusive Economic Growth Can Mean for First Nations and Canada? 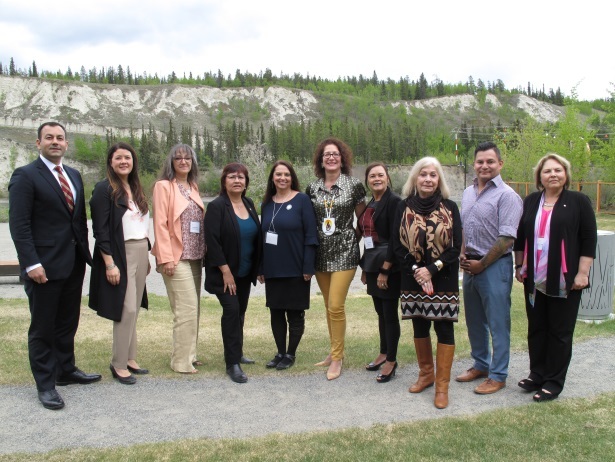 Through a series of panels, discussions and presentations, speakers talked about themes such as reconciliation, procurement strategies, and the importance of celebrating Indigenous achievements. Participants offered significant feedback, providing helpful insights on the development of NIEDB recommendations to address Northern sustainable food systems. The views expressed in this report are those of the participants at the event and reflect the discussions that occurred. Established in 1990, the National Indigenous Economic Development Board is a Governor in Council appointed board mandated to provide strategic policy advice to the federal government on issues related to Indigenous economic development. Comprised of First Nations, Inuit, and Métis business and community leaders from across Canada, the Board helps governments to respond to the unique needs and circumstances of Indigenous peoples in Canada. The National Indigenous Economic Development Board would like to extend its most heartfelt congratulations to Dr. Marie Delorme for being named to the Order of Canada. Dr. Delorme is CEO of The Imagination Group of Companies. She holds a Bachelor of Science degree, a Master of Business Administration from Queen’s University, and PhD from the University of Calgary. Her research focuses on inter-cultural leadership. The Order of Canada is one of Canada’s highest civilian honours. It recognizes outstanding achievement, dedication to the community and service to the nation. 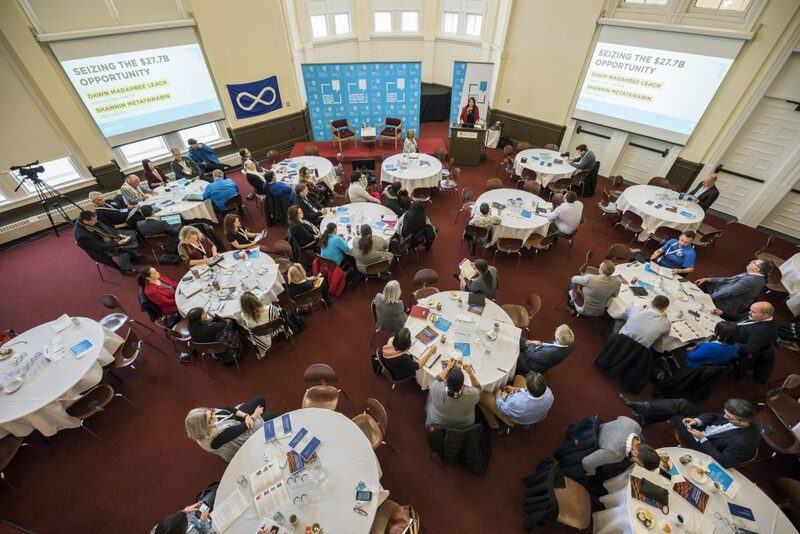 On November 8, 2018, at the University of Winnipeg, the National Indigenous Economic Development Board (NIEDB), in partnership with the National Aboriginal Capital Corporations Association (NACCA), Indigenous and Northern Affairs Canada (INAC) and the Public Policy Forum (PPF), presented Expanding the Circle: What Reconciliation and Inclusive Economic Growth Can Mean for the Métis Nation and Canada? Economic reconciliation means ensuring that Indigenous Peoples are not excluded from participating and benefitting from Canada’s prosperity. The economic inclusion of Indigenous Peoples in Canada’s economy is not only a way of addressing past wrongs, but also an investment that can benefit all Canadians. In fact, closing the significant opportunity gaps between Indigenous and non-Indigenous Canadians will annually boost Canada’s GDP by $27.7 billion. The Expanding the Circle series of conferences features leaders and experts from across the country to look at looking into the importance of inclusive economic growth for reconciliation, and highlight solutions to address the significant gaps between Indigenous and non-Indigenous Canadians. The second of this three-part series focused on increasing economic opportunities for the Métis Nation. Through a series of panels, discussions and presentations, speakers talked about themes such as Métis rights, entrepreneurship, business development, and youth. The National Indigenous Economic Development Board is pleased to welcome back Chief Clarence Louie, Chief, Osoyoos Indian Band, who has been appointed as Chairperson to the Board. Chief Clarence Louie believes that socio-economic development is a prerequisite for First Nation self-reliance and will facilitate a return to our working culture – the self-supporting lifestyle of our ancestors. Chief Clarence Louie was first elected to the Osoyoos Indian Band in 1984. Under his leadership, the Band has developed into a multi-faceted corporation that owns nine businesses and employs hundreds of people. Chief Louie formed the Osoyoos Indian Band Development Corporation to manage these businesses and seek new economic opportunities. In November 2016, he was awarded the Order of Canada, one of Canada’s highest civilian honours, “for his innovative contributions to increasing economic opportunities for Indigenous communities”. For his full biography and more information on the Board, please consult the following page:http://www.naedb-cndea.com/en/the-board/. The National Indigenous Economic Development Board would like to extend its most heartfelt congratulations to Chief Terrance Paul and Chief Clarence Louie for being named to the Order of Canada. Chief Terrance Paul was awarded the Order of Canada in November 2017. He has served as Chief of the Membertou First Nation for the past 33 years, winning 16 band elections. 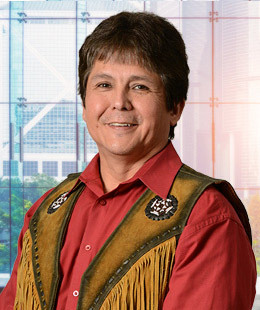 He was recognized for “his unique leadership in upholding Indigenous rights and for building a unique model of sustainable financial independence in the Membertou community”. Chief Clarence Louie was awarded the Order in November 2016. He has been Chief of the Osoyoos Indian Band for over ten terms. He was recognized, “for his innovative contributions to increasing economic opportunities for Indigenous communities”. Recently, a third-party manager was accused of diverting millions from the Kashechewan First Nation, one of Canada’s most impoverished First Nations. In light of this abuse, the Board wishes to reiterate that the existing Default Management and Prevention Policy hurts the communities it is supposed to help because it increases financial hardship on reserve and does nothing to build financial capacity or financial literacy. First of all, we recommend that First Nations Institutions run the Default Management process. Second, we recommend placing more emphasis on financial literacy and financial management capacity. Third, we recommend increasing the financial management component of the Comprehensive Community Planning process that is part of INAC’s partnership approach to community development, thus ensuring that communities have the funding they need to build their own capacity. Finally, we would like to draw once again your attention to the fact that there are a variety of innovative approaches to financial management undertaken by our people for our people. Our most recent report, Recommendations Report on Improving Access to Capital for Indigenous Peoples in Canada, is based on a study that Waterstone Strategies recently produced for our Board. The Waterstone Strategies report, entitled First Nations and Inuit Access to Capital for Economic Development, Business and Infrastructure: A Quantitative Assessment of the Access and the Gaps, assessed the characteristics of the gap between First Nation and Inuit financing, and mainstream Canadian financing. The report found that, although First Nations and Inuit are accessing more capital, the gap between Indigenous access and access for other Canadians continues to widen. This gap is in fact detrimental to the Canadian economy as a whole, since a First Nation and Inuit economy operating at the same level as the Canadian economy and financed appropriately would result in a contribution of over $3.6 billion to Canada’s GDP. That the Government of Canada continue to expand investments in and support for Aboriginal Financial Institutions. That the Government of Canada make a substantive effort to renew the fiscal relationship and to make fiscal fairness and affordable borrowing a reality for Indigenous peoples and communities. This includes addressing current legal and regulatory barriers to accessing capital, as well as exploring and supporting new and alternative lending options. That Indigenous and Northern Affairs Canada (INAC) continue to work with Indigenous peoples, nations and governments to expand investments in communities and to enhance the investment climate. That INAC enhance the relevance, quality and availability of information to Indigenous households, businesses and communities through a commitment to transparency and openness, as well as supporting Indigenous-led research and data governance. 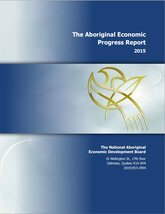 Ottawa, Ontario – 13 September 2017 – The National Indigenous Economic Development Board (NIEDB) released its 2016-2017 Annual Report today. The Board achieved a number of important milestones this year which have contributed to ensuring that federal policies and programs are well aligned with the goals of fostering the economic growth of First Nations, Inuit, and Métis people. The NIEDB strongly believes that Indigenous people are making economic and social progress and making important contributions to the Canadian economy. It is essential to maintain this momentum by developing policies and programs that will drive economic development and contribute to closing the gap in economic outcomes between Indigenous and non-Indigenous people in Canada. The Board’s long-term goal is to ensure that Indigenous people are healthy, well-educated, economically self-sufficient and full participants in the Canadian economy. As the Board gets ready to embark on their next Strategic Plan 2015-2018, their priorities continue to be guided by this overarching goal. Established in 1990, the NIEDB is a Governor in Council appointed board mandated to provide strategic policy and program advice to the federal government on Indigenous economic development. Comprised of First Nations, Inuit and Métis community and business leaders from across Canada, the Board plays an important role in helping the federal government develop economic policies and programs that are coordinated, accessible and responsive to the unique needs and circumstances of Indigenous Canadians.